Interested in a Career at Chip’s? Servers are a critical job at Chip’s because they take care of our customers who we like to treat very well. 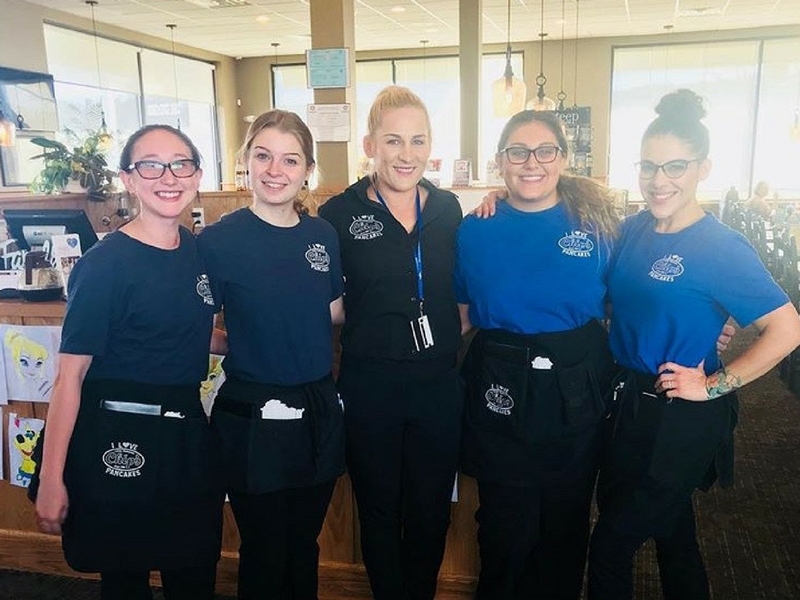 As a server on the Chip’s team, you will prepare the restaurant for service, serve our customers, enter orders, ensure that plates are up to standard, deliver plates to customers in a timely manner, and everything else that makes Chip’s the special place that it is. With thousands of customers weekly, you will be busy and have a great opportunity to earn higher income. You must be dependable, flexible and personable; high energy preferred! The Bus Person is the foundation to great service. They make sure the tables are set properly, cleaned after customers finish, and move dirty into the kitchen. The Bus Person also ensures a clean and sanitary restaurant by completing certain cleaning tasks during the shift. Bussers also help the Servers during heavy activity and make sure everything is up to Chip’s standards. Dependability is very important in this position as well as conscientiousness. Once trained, you will execute your tasks with minimal supervision. The Manager leads Chip’s to success daily, coordinates staff and kitchen activities, enforces sanitary standards, maintains the restaurant in top condition, and assures a pleasant experience for the customer. It’s a demanding job enjoyed by those who like to take control, exceed expectations, and never give excuses. You must be a self-starter who knows how to be responsible for everything in the restaurant and who can solve problems in a moment’s notice. Managers are leaders, coaches, mentors, and a strong presence for the Chip’s team. You are also very friendly, upbeat and personable to all the customers building solid relationships that ensure repeat visits. You’ll love making Chip’s the best it can be!